HPU combines the excitement of an urban downtown campus with the serenity of a campus set in the green foothills of O’ahu’s Ko’olau mountains, and its aquaculture research facility, Oceanic Institute, borders the ocean. The main campus is located in downtown Honolulu, the business and financial center of the Pacific, and it is home to the College of Business and College of Liberal Arts. The downtown campus is in the center of Honolulu’s business district. HPU's College of Business, which is headquartered in Pioneer Plaza includes state of the art computer based classrooms along with meeting spaces. The University’s Meader Library provides a multitude of general and specialized resources, including a business reference collection, a National Endowment for the Humanities (NEH) collection, and many online databases and journals. The circulating book collections support communications, computer studies, education, literature, social sciences, and other curriculum areas. Also available are study areas, group study rooms, computer workstations, and wireless Internet. The Tutoring and Testing Center provides free tutoring in all core subjects. In 2016, HPU opened its downtown INBRE (IDeA Networks of Biomedical Research Excellence) research labs, providing students with cutting edge instrumentation and laboratory facilities. It is also home to HPU's Aloha Tower Marketplace (ATM) that serves as an anchor for HPU in the downtown area. ATM is a mixed-use facility that includes student housing, HPU's Welcome Center, Learning Commons, Faculty/Student Lounge, and a variety of restaurants, businesses, classrooms, and meeting rooms. Eight miles away from the downtown campus, situated on 135 acres in Kaneohe, the Hawaii Loa campus is the site of the College of Natural and Computational Sciences and the College of Health and Society, as well as many general education courses. 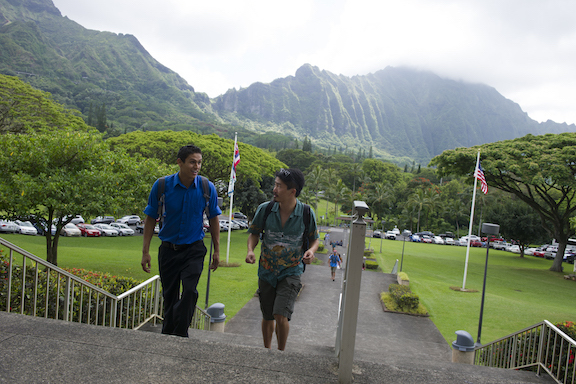 On the suburban and residential windward Hawaii Loa campus, academic life revolves around the Amos N. Starr and Juliette Montague Cooke Academic Center (AC). The AC houses classrooms; organic chemistry, nuclear magnetic resonance, nursing simulation and other laboratories; faculty and staff offices; a theater; an art gallery; and the Atherton Library, which includes circulating and reference book collections in the areas of art, history, marine science, nursing, and Hawai’i and the Pacific. Additionally, the library provides access to electronic books (e-books), databases, study rooms, computers, and wireless Internet. For more than 50 years, the Oceanic Institute (OI) of HPU has been a world leader in the advancement of sustainable aquaculture technologies and has contributed to a range of solutions to overcome current and emerging industry challenges. 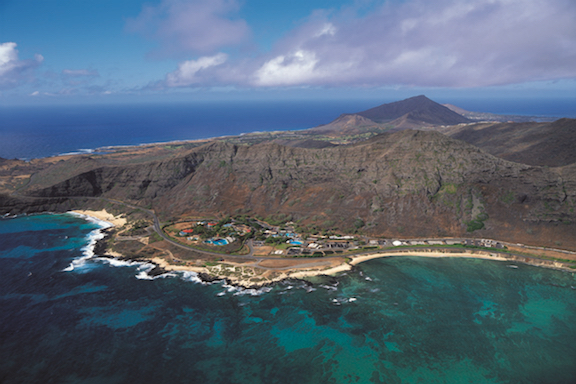 OI is located on a 56-acre site at Makapu‘u Point on the windward coast of O‘ahu. OI conducts research, education, and training that focuses on marine aquaculture, aquatic feeds and nutrition, and coastal resource management. In 2013, OI commissioned a state-of-the-art teaching laboratory to complement classroom and conference space at OI's Ocean Learning Center (OLC). The OLC annex supports cutting-edge biotechnology research and education with two research labs, a teaching lab, and a distance learning center. OI's facilities provide a unique opportunity for hands-on education and real-world traning aimed at expanding the workforce in an increasingly high-tech world. HPU is also present on military installations on the island of O‘ahu, Pearl Harbor Naval Base, Hickam Air Force Base, Schofield Army Barracks, Fort Shafter, Tripler Army Medical Center, Marine Corps Base Hawai’i – Kaneohe, and Marine Corps Base Hawai’i – Camp H.M. Smith. The Military Campus Programs' faculty and staff specialize in helping U.S. service members, dependents, and U.S.D.O.D. personnel achieve their educational and professional goals.